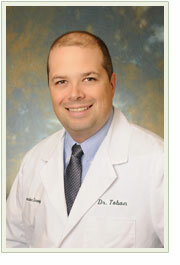 Dr. Tobon began his education here in Tampa receiving an undergraduate degree in Natural Sciences at the University of South Florida. He then attended Michigan State University where he earned a medical degree. There he ranked at the top of his class and was a member of Sigma Sigma Phi academic fraternity. Following graduation, he completed his internship at Ingham Regional Medical Center in Lansing, Michigan. 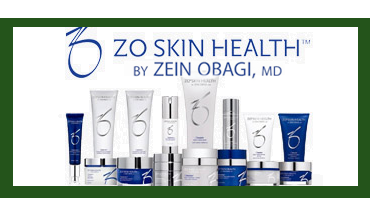 He then completed his Dermatology residency at Nova Southeastern University in Fort Lauderdale, Florida. There he served as chief resident during his last year of training. He was responsible for educating and mentoring junior residents, interns, and medical students. After completing his residency, he challenged and passed the Dermatology Board Examination. Today Dr. Tobon strives to further his knowledge through multiple continuing medical education courses in order to offer the latest advances in Dermatology. He is active in educating medical students, interns, and residents. He also continues lecturing to other medical professionals and is an active member of multiple medical societies. A native of Brandon, Dr. Berrios received his bachelor’s degree from the University of South Florida where he majored in Biomedical Sciences with a concentration in Biomedical Physics and graduated with highest honors. He graduated with honors from Emory University School of Medicine in Atlanta, Georgia, remaining there for his internship in Internal Medicine. He went on to complete a post-doctoral fellowship under the mentorship of Dr. Jack Arbiser in the Department of Dermatology at Emory, focusing on drug discovery in melanoma. He completed his residency in Dermatology at Loyola University Medical Center in Chicago, Illinois, serving as Chief Resident his final year. His clinical interests include medical dermatology, surgical dermatology, contact dermatitis, and phototherapy. Shannon moved to Tampa in 2003 and completed her Bachelor’s degree in Biomedical Science at the University of South Florida. Shortly thereafter she transitioned into a position as a Clinical Specialist for the Excimer laser. After gaining clinical and management experience, she pursued training as a physician assistant at Nova Southeastern University in Fort Myers. A majority of internships were completed in Tampa Bay, namely Tampa General Hospital where she trained in Emergency Medicine, Trauma and Reconstructive Plastic Surgery. Shannon graduated from NSU with honors, earning a Masters of Medical Science in Physician Assistant studies. As a Certified PA, she joined Brandon Dermatology practicing alongside Dr. Tobon in the specialty of Dermatology and Dermatologic Surgery. She has completed advanced training in BOTOX®, Radiesse® and Belotero® injections. Current professional memberships include: AAPA, FAPA, SDPA and FSDPA. Her spare time is filled with love from her husband, family, friends and beagles. Kyle began her undergraduate education at the University of Kentucky earning a Bachelors of Science degree in Health Care Science and Communications. She went on to earn her Masters of Science in Physician Assistant Studies from the University of Kentucky Graduate School along with an additional Graduate Certificate in Gerontology from the University of Kentucky College of Public Health. 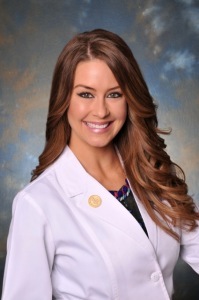 After graduation, she relocated to Tampa Bay with her husband and immediately began working with Brandon Dermatology. Kyle enjoys practicing clinical dermatology as well as cosmetic dermatology. Kyle has received advanced training in BOTOX®, Juvéderm™, and Radiesse® injections. Additionally, she is the resident expert for the Excmier laser for psoriasis and vitiligo. Kyle is a member of the American Academy of Physician Assistants, Florida Academy of Physician Assistants, the Society of Dermatology Physician Assistants, and the Florida Society of Dermatology Physician Assistants. David has grown up in the Brandon area and lived here for over 30 years. David is a board certified Physician Assistant, credentialed by the National Commission on Certification of Physician Assistants. He earned his Bachelor of Science in Exercise Physiology from Florida State University. He earned his Master of Medical Science with honors from Nova Southeastern University. He was inducted into Pi Alpha in 2010, the National Honors Society for Physician Assistants. 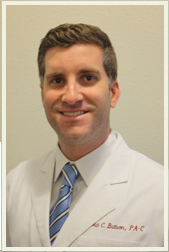 David worked in Orthopedic Surgery and Family Medicine before coming to Brandon Dermatology. He is a member of the Florida Academy of Physician Assistants and the American Academy of Physician Assistants. Pia graduated from the University of South Florida in 2014 with a Bachelor of Science in Applied Sciences, with a concentration in Public Health. Shortly thereafter, she began working at Brandon Dermatology as a medical assistant, realizing her interest in Dermatology. In 2018, Pia earned a Master of Clinical Medical Science from Barry University in Saint Petersburg, Florida. Upon graduation she was awarded the Catherine Margaret Parkhurst Memorial Award for compassion and sensitivity. 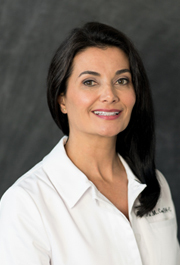 Pia is a board-certified Physician Assistant and a member of the American Academy of Physician Assistants, Florida Academy of Physician Assistants, the Florida Society of Dermatology Physician Assistants and the Society of Dermatology Physician Assistants. In her free time, Pia enjoys spending time with her husband and two children. Meaghan moved from Reno, NV to Tampa in 2016 with her husband and two dogs. She started working at Brandon Dermatology shortly after and loved it. While working in Dermatology, Meaghan realized her passion for skin care and lasers. She decided to go back to school full time to get her state board licensure in Medical Aesthetics and Lasers. 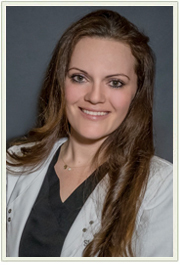 With a background as a medical assistant for over 6 years in plastic surgery, gynecology & dermatology, she understands the importance of working closely with the providers at Brandon Dermatology to create an effective and customizable skin care routine for all ages, skin types and skin conditions. 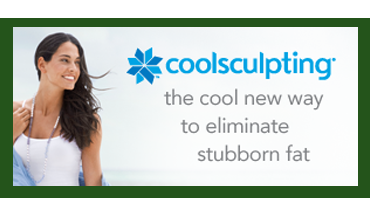 Meaghan specializes in chemical peels, micro needling, dermaplaning, microdermabrasion, laser hair removal, Coolsculpting, Ultherapy & many other aesthetic services. 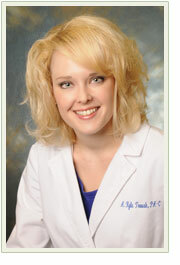 She looks forward to helping you with all of your skin care needs from correction, prevention to restoration. Feel free to call us at (813) 498-1933 for an appointment or Contact Us online quickly and easily.